Successfully Added Vapor Storm 0.5-Ohm RTA - 510 Thread, Adjustable Airflow, Top Filling, 0.5-Ohm, Stainless Steel, 4ml Tank to your Shopping Cart. With the Vapor Storm 0.5 Ohm rebuildable tank atomizer you’ll be able to upgrade your current e-cig and experience vaping sessions like never before. Built out of durable stainless steel, this vape tank does not only hold a stylish look but also is extremely tough. It furthermore features a 510 thread, making it usable with the vast majority of vape box mods out there. Coming with 100% organic cotton, you can be guaranteed that this RTA delivers great taste and high-quality vapes – truly letting you enjoy all your upcoming vaping sessions to the absolute most. Featuring a 0.5-ohm resistance, this atomizer is capable of handling quite the wattage. Usable with mod kits ranging in between 20W to 60W, it is sure to deliver great taste along with stunningly large vapor clouds that are sure to impress all people standing by. Its adjustable airflow control further increases your overall vape experience by letting you manually adjust the amount of taste and vapor created with each puff. From now on you’ll be able to adjust your vape to your exact personal liking. So sit back and relax, with this tank atomizer attached to your vape mod you’ll be guaranteed to undergo the ultimate vape experience. With its 4ml tank, the Vapor Storm RTA can handle plenty of your favorite juice. When filled up, you’ll be able to vape the day away and enjoy multiple vaping sessions without needing to refill. Simply attach this high-end rebuildable tank atomizer to your box mod, fill it up, and enjoy a tasteful and relaxing vaping session. 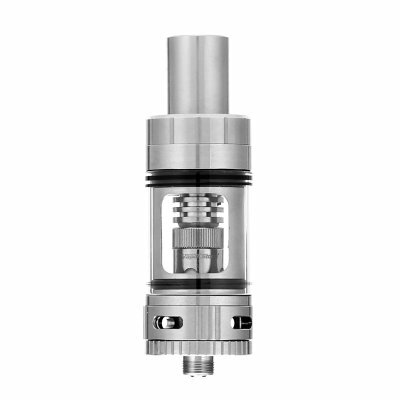 Perfect for beginning and advanced vapers alike, this RTA is guaranteed to meet all your vaping demands. This Vapor Storm RTA comes with a 12 months warranty, brought to you by the leader in electronic devices as well as wholesale electronic gadgets..
Arabic: - رذاذ خزان فب - Chinese Simplified: - Vape 坦克雾化器 - Czech: - VAPE Tank Atomizer - Danish: - Genfyldningerne Tank forstøver - Dutch: - Vape Tank verstuiver - French: - Atomiseur Tank Vape - German: - VAPE Tank Atomizer - Hebrew: - טנק Vape atomizer - Hindi: - Vape टैंक कणित्र - Italian: - Atomizzatore del carro armato di Vape - Japanese: - アーク プラズマ蒸着法タンクアトマイザー - Korean: - Vape 탱크 분무기 - Malay: - Kereta kebal Vape pengabut - Norwegian Bokmål: - Vape Tank Atomizer - Romanian: - Atomizor Vape Tank - Russian: - Vape танк Атомайзер - Spanish: - Atomizador del tanque vape - Thai: - Vape ถังฉีดน้ำ - Turkish: - Vape Tank Atomizer - Vietnamese: - Máy phun Vape Tank.